Quite often when working with long documents using Microsoft Word, you need to be mindful of file sizes. If you are utilising multiple graphics or photos within your document then this will have an effect on the end file size of your document. I work with long documents on a regular basis, both for work and personal purposes and as I’m a visual person, I like to include images and/or photos where appropriate. You can see from my blog posts that I include screenshot images to help people through the steps and to provide an illustration that demonstrates what I’m talking about. 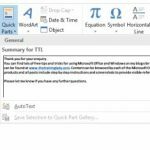 For this reason, you can sometimes find that the end file size of a document or any type of Microsoft Office file can be large, and even too large for the end purpose of the document. 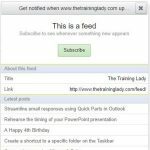 A great example is if you need to email the document to a colleague or friend. 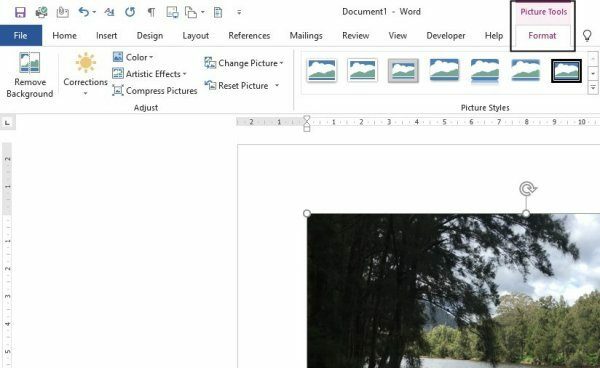 If the file is too large this will stop you being able to email the file as an attachment. Another great example is if you are trying to be mindful of space you are using on your computer; maybe you are slowly running out of disk space and want to conserve as much as you can. 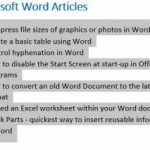 Microsoft Word, and indeed all of the Microsoft Office products, includes a feature which allows you to automatically compress the file size of individual or all of the graphics/photos included in your document or file. 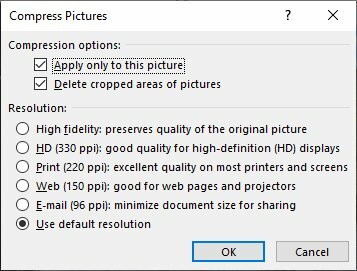 TIP: The term 220ppi refers to “pixels per inch”. Essentially this means that there will be 220 pixels, or dots per inch of the screen giving it a higher quality. The lower the “ppi” the less dots per inch and the lower the quality will be. 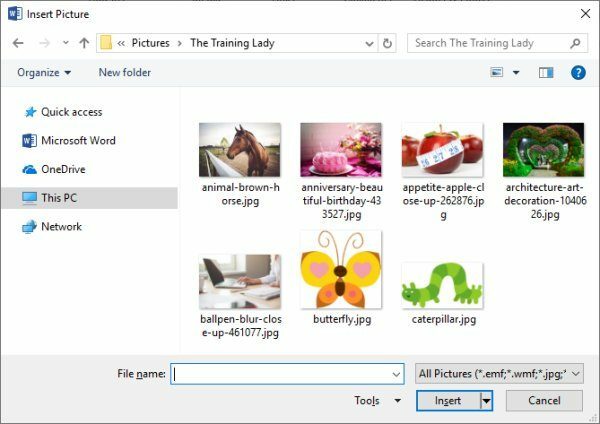 If you are working with a long document and need to reduce its file size, make note of the documents file size prior to opening, then go through the above process and apply the compression to ALL pictures within the document. Save and check the file size has reduced. 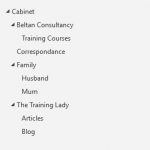 You may find some of these additional posts interesting which discuss other aspects of using images within your documents.